A Moment of Silence and Answering the Question: Why Collect Memorabilia? Early Sunday morning, news broke about Yordano Ventura’s tragic death in a car accident in the Dominican Republic. Others will celebrate his life and reflect on his accomplishments & impact far better than I could, but I thought I would use this as an opportunity to talk about why I collect Jayhawk (and a handful of other) memorabilia. First time visitors to KU BALLS, once they get past the fact that a grown man has a shrine dedicated to college-age boys, typically ask the question, “How much is this worth?” Some pieces could fetch a premium on eBay to the right collector, but the majority of the items would probably go for noticeably less than I paid. The money doesn’t completely reflect the value, however; the value lies in the memories that are invoked – both as a communal and as a personal history. 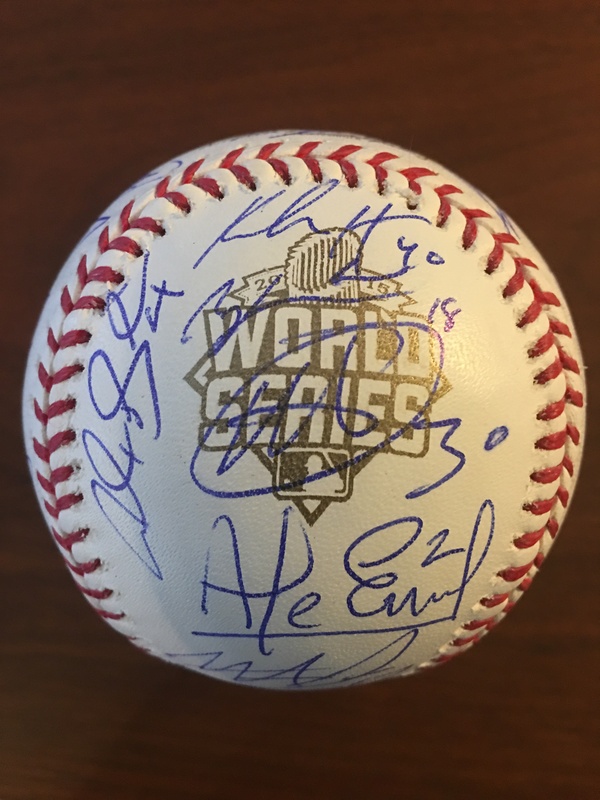 I have a handful of Kansas City Royals items, including the above ball with Yordano Ventura’s signature smack dab on the logo. Before today, when I looked at this ball I didn’t see a dollar sign, I would instead remember the collection of personalities on the team, how this team helped reconnect me to baseball, how my wife and I made an event of watching the games together, how this team triggered memories of the fantastic teams from the ’70s that I grew up watching, and of course, the thrill of winning the 2015 World Series. 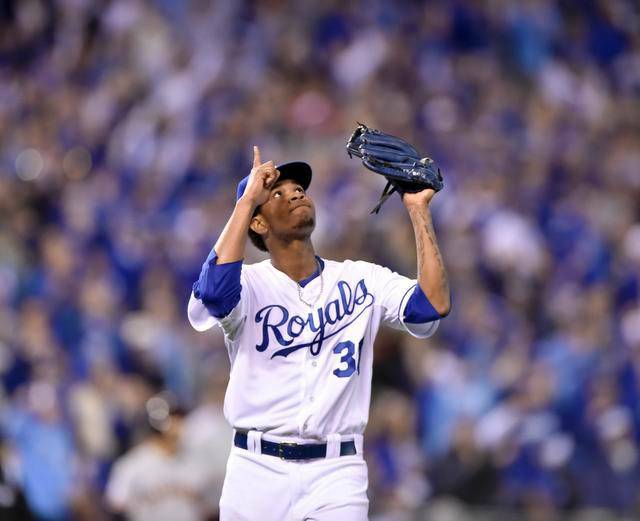 Now, I’ll also remember Ventura’s incredible Game 6 performance from 2014, the blazing speed he could reach with the right pitch, his fiery temper & competitive spirit, the wistful feeling of “what could have been,” and a reminder to hold my family & loved ones close. This is why I collect memorabilia – to help serve as a physical connection to the memories and experiences that I hold dear.